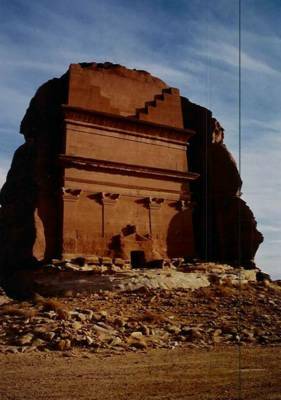 A temple carved from the rock from Petra's sister city. 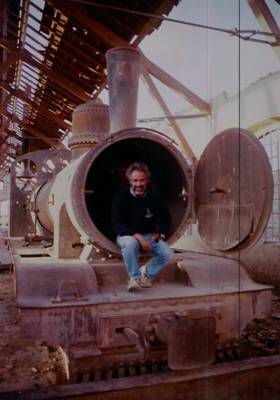 By coincidence, one of the most important train stations on the Hejaz railway sat next to the ruins and when Lawrence of Arabia blew the line in 1917, the trains were trapped there and are still there today, gathering dust and with "Krupp" on the engine casings. 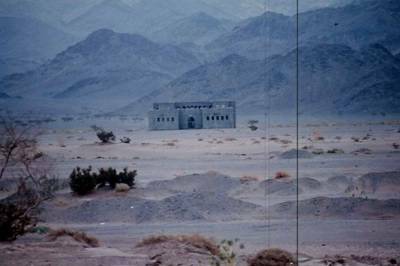 Below, you can see one of the fortified train stations that Lawrence attacked along the Hejaz railway between Damascus and Medina. More photos Medain Saleh can be found on THIS Site - Apparently you can catch a tourist bus these days, rather different from risking life and limb to cross an unfriendly Saudi Arabia twenty years ago!